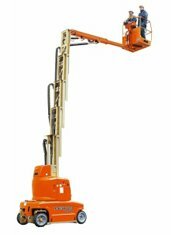 Construction workers can take advantage of the new JLG Toucan 10E vertical lift, since it comes with a significant increase in performance. The ground clearance was improved, and so was the drive speed. It is currently regarded as a combination of power, performance and high maintainability.